For me there is always an ebb and flow sensation to life. Like with money….sometimes it flows in and other times it flows out. Mostly out around here. Relationships have a sort of motion to them as well. There are times I’ve overwhelmed by the beauty of my family. Last weekend we were in the city and everyone was being so gracious and kind. I imagined being on the outside, seeing us with our uniquely created family unit, full of beautiful children with smiling faces. It was lovely. Today I cried at 2pm and told the universe “There are just too many of them and they have too many needs!” There might have been more ebbing than flowing today. I find the same flow in my marriage, although I don’t cry at 2 in the afternoon about it. Life gets busy and we can’t seem to find the time to connect or talk. Then we get the chance to spend some time together and remember why we love each other so much. Last month we spent 4 days in Colorado together – just us in our most favorite place on earth. We hit the sweet spot. That place of connectedness in any relationship is the best. It’s the thing that keeps me going. This sweet spot is where I’ve been with God for years. There has been mostly flowing and very little ebbing. Even in difficult times I’ve seen where God is growing me and refining me, so although it’s difficult, I still feel Him, therefore I remain in the sweet spot. Not so much this year. This year I’ve spent a lot of time feeling angry. Or sad. Or confused. Or I’m my closet ranting and swearing and thrashing about on the floor like a two-year old. I”m not handling my difficulties with grace at all. Nope. My sister’s roommate from college lost her 15-year-old son from cancer about three months ago. Although she’s sad and misses him, she feels God sending her signs that her boy is ok. Today she posted on Facebook that it makes her feel blessed. I seem to now drop F-bombs like candy falling from a piñata. I’m sensing sort of a different zen coming from each of us. Through all my sadness this year, I haven’t been able to draw close to God. I just couldn’t. It felt vulnerable. And my feelings were hurt. Bad stuff doesn’t HAVE to happen. Right? So why does it? And we are constantly at the doctor. He’s had multiple opportunities for a miracle healing. Come on, dude. I know it’s not hard for you. I’ll find some dirt, you spit in it, rub it all over her, done. But I can’t stay angry and hurt forever. I do love him after all. And lately, my wall of anger has been falling. I’m being reminded of God’s character and his crazy love for me. And as I turn around, looking towards him instead of away, I guess I’m sort of amazed at where he is. He’s in the sweet spot. I don’t know why I’m surprised. Of course he is. Because he never left. That’s just not how he rolls. It’s me. It’s you. We are the ones pulling away. Or never showing up. He is constant and steadfast. Never moving and always sitting in the sweet spot waiting for that sort of relationship with all of us. In high school my girlfriend and I used to crawl out on the roof and sunbathe (read cover my pale, freckled skin with baby oil until I burned) for hours and just hang out. I loved it. So does my dermatologist whom I’ve paid to have sun spots removed from my face. But I digress. It reminds me of the story of the prodigal son where the father is on the roof, searching the distant for his son that wandered away. He will never move – no matter how pale and sunburnt he is – until his best friend returns to hang with him. He just won’t. And Jesus does not look away when I angry rant in the closet (it’s a big closet so I am there a lot) or cry during worship music or ask for answers that he just isn’t ready to give. He will not leave. Ever. But unlike the Find Friends app, I like Jesus’s stalking. It’s alright by me. It does give me the luxury of taking my own sweet time in resolving my issues. But that’s ok too. Impatient isn’t one of Jesus’s qualities. Mine, yes. His, no. I know where this is going. I will be back in the sweet spot with Jesus. He’s not just passively sitting there. Nope. He’s pulling me back in. It’s just going to take a little time for me. It’s like sitting down with someone whom you think has hurt you deeply (even though I know he hasn’t – there is a bigger answer and reason for all of this) and trying to be like we used to be. But for right now, I’m just glad to know, he’s still there. Always. Forever. No matter how long my stubborn self takes. And for that I do feel blessed. My bible study group has been reading through the book of Matthew this past year and very appropriately we are just coming up to Jesus’s arrest and trial this week prior to Easter. Last night a discussion began about Pontius Pilate. If you don’t know his role in this story, he was Roman governor at the time. When Jesus was arrested, he was brought before Pilate and it was Pilate’s job to discern if Jesus was innocent or guilty. But the crowd insists upon Jesus’s crucifixion. Then Pilate hands Jesus over and turns his back on the entire situation. And here stands the debate. By turning a blind eye on the situation, one that he knew to be in error, is Pilate truly innocent? My group responded overwhelmingly no. But if he isn’t innocent, then don’t we need to take a look at all the times that we wash our hands of an issue and say Not my problem. So many of us choose to walk though this life with our eyes focused in such a narrow line that our cares and concerns don’t go beyond what directly crosses our paths. And our love for those around us, and well, let’s be honest, our love for ourselves and our things, takes priority over most other concerns around the world. But should it? People have asked me why I go overseas to adopt when there are children right here in the US that need help. I usually say that is just where God called me. And while that is true, I sometimes feel that question comes from this narrow focus of things over there should just not be our problem. 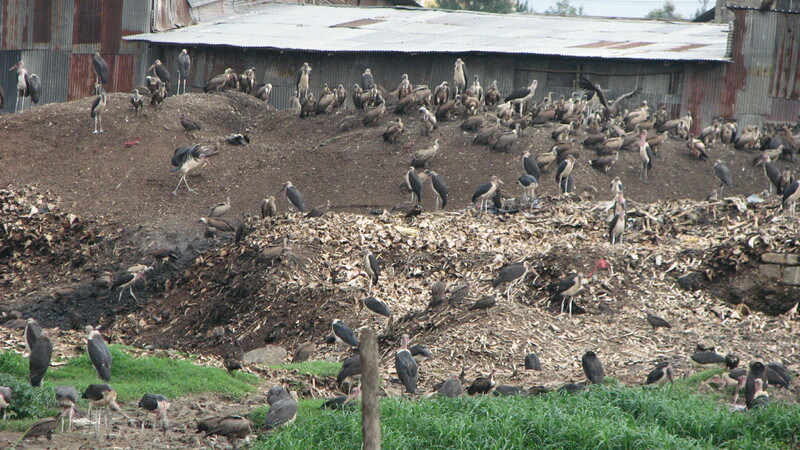 While driving around Ethiopia during our adoption of Mesfin I saw some huge vultures over the city dump. They were astounding so we stopped to take some pictures. Then my point of view shifted and I saw this. Yes, that woman lives at the dump. 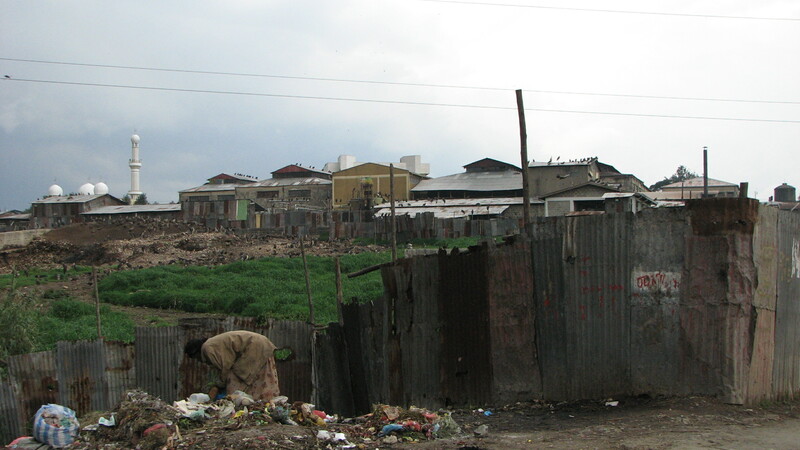 There are countless numbers of parents and children who live at that dump and scour it daily to find something to eat. We can not just wash our hands of that. She is our problem. The crowd will insist that you worry about your own. You have enough going on right now. When retailers like Wal Mart are consistently tied to immoral practices overseas, are we really entitled to just wash our hands of the problem so we can obtain an 88 cent box of mac and cheese? The crowd will tell you that we deserve that low price guarantee! It’s a struggle to feed 5 growing children. Slavery is at an all time high in our world today. There are more slaves at this moment, right now when you read this, then were ever kidnapped off the continent of Africa in the 300 plus years that travesty went on. The crowd will tell you that is a lie. I understand that this is a battle never to be won. I’m reading The Locust Effect right now that discusses how violence is the most painful of all issues suffered by the poor. And after every heart crushing chapter I stop and think “God, what am I supposed to do with this information? !” The systems are so broken and people’s ideals are so warped, it is beyond me to ever be able to even touch. Yet I do know this – I am NOT allowed to just wash my hands and say Not My Problem. The crowd will insist that you can.